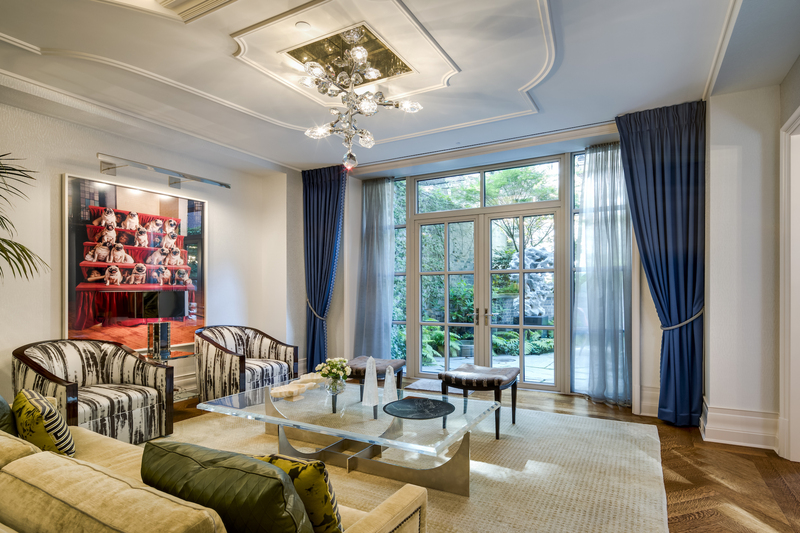 Today’s New York City home extraordinary white glove townhouse style condominium with full services and amenities. 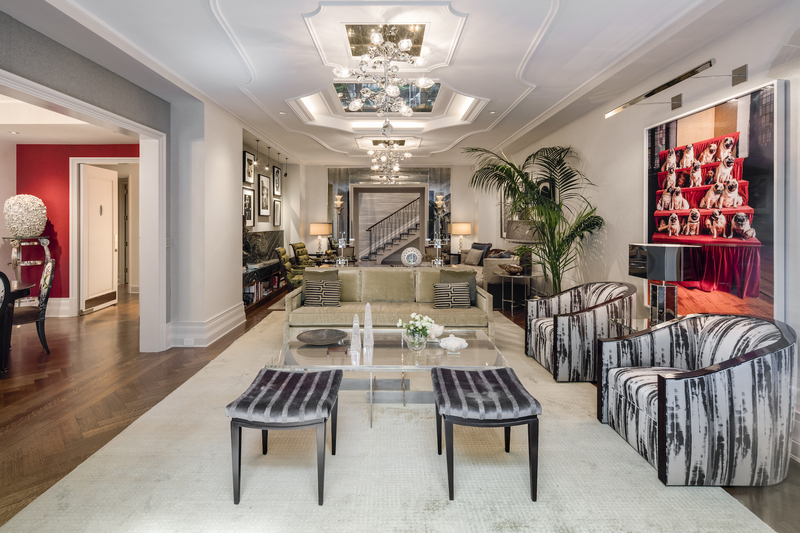 Maisonette West, is a fully serviced “townhouse” in the coveted 135 East 79th Street Condominium, conceived by acclaimed designer William Soffied and further enhanced by I Grace Company. A gracious entry foyer opens to an impressive gallery featuring a magnificent custom-designed floating staircase, creating an imposing introduction to a 4,803 square foot grand duplex with a private fully landscaped and terraced 972 square foot garden, designed by international landscape designer Madison Cox. The floor plan features an expansive living room, formal dining room, eat-in kitchen with large separate pantry, a second floor kitchenette, a large master suite with custom millwork closets, five additional bedrooms, 5.5 exquisite stone baths (including the sumptuous master bath with a Kallista Air Bathtub), and a grand second floor foyer, with its own private elevator access. 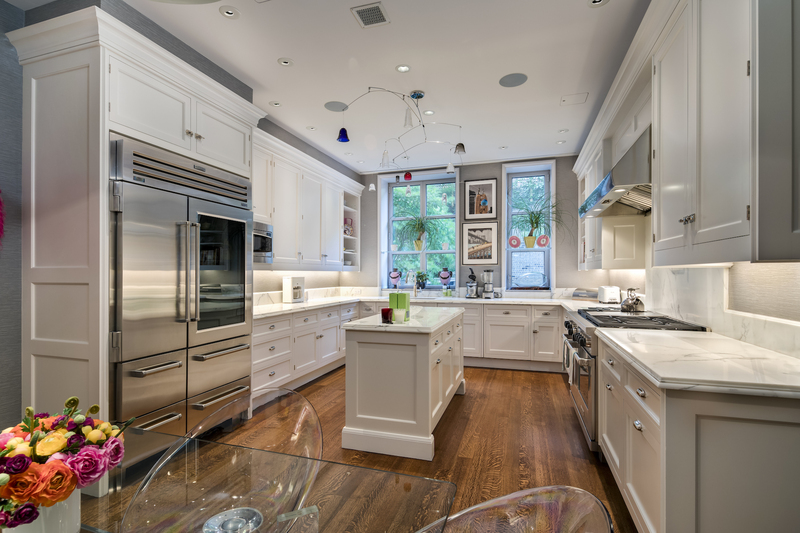 The hand-painted, bespoke Christopher Peacock kitchen features statuary stone slab counters with custom carved edges, Sub-Zero refrigerator, Wolf six-burner range, Miele dishwasher, a filtered water system, Sub-Zero wine refrigerator and Kallista Jeton fittings designed by Studio Sofield specifically for 135 East 79th Street. Architectural details include high ceilings; solid white oak floors with a herringbone pattern in the public rooms; custom cabinetry and wood trim, including 11-inch custom baseboards, and finely milled casings; custom-designed plaster mouldings by Hyde Park Moulding; Nanz hand-cast hardware; Kallista bath fixtures and fittings; and slab stone bathrooms. The state of the art technology features Lutron Radio RA dimming and control system throughout; a security system with motion sensors, glass break detectors and cameras; an audiovisual system by Electronic Environments, which includes Sonos control system and Stealth Acoustics; new telephone and CAT6 lines available for all areas with wi-fi wiring throughout; and discreet keypads at many entry points to connect to all systems. 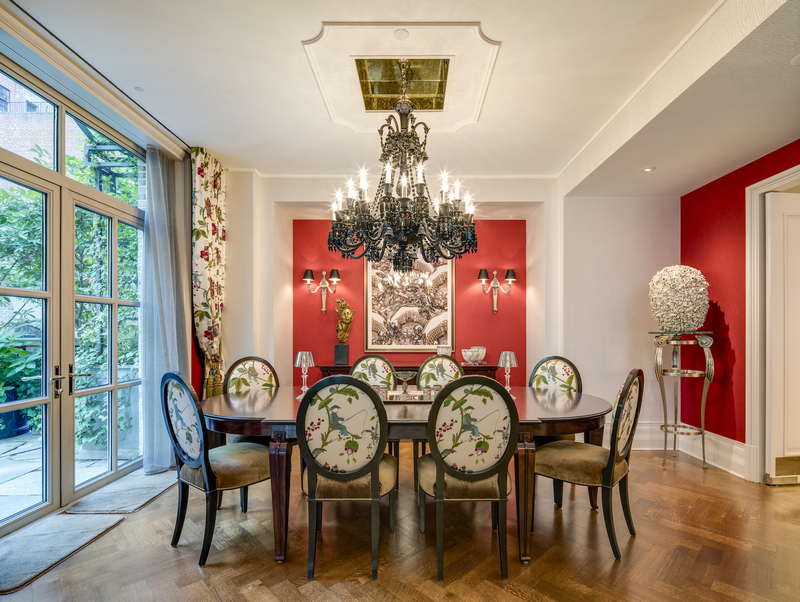 This home is listed for $18.995 million with Stribling & Associates and is showcased by Luxury Portfolio.